FXGiants is an international Forex broker, that is part of the Notesco group of companies. Since their founding in 2016, they have become a popular MT4 broker in Europe, South America and Australia. Official address is: 12th Floor, Broadgate Tower, 20 Primrose Street, London, EC2A 2EW, United Kingdom. Their United Kingdom phone number is; +44 207 523 5394 and in Australia +61 28 607 8189. Contact email address is: info@FXGiants.co.uk. Forex Investors and Traders at the broker FXGiants can use the MetaTrader4 PC, MT4 MAC, Tablet or Mobile App. Their list of available assets for trading includes over 200 Forex & Currency pairs, along with Bitcoin, Ethereum, Commodities (oil and gold), Market Indexes and stocks. Leverage amounts vary by product and account type, but range from 100:1 to as high as 1000:1. Four account types are available, and each one has their own benefits. 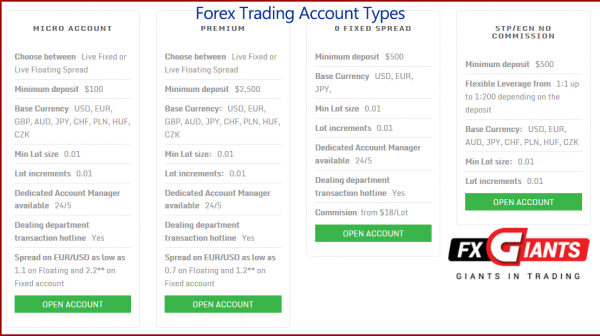 The minimum deposit for a “Micro Account is only $100, and they offer fixed spread accounts which start at $500, see here. At all Forex brokers that offer MetaTrader4, you have the ability to go online and search for a free Expert Advisor (EA) to plugin to the software and trade for you. If you are interested in a simple automated trading solutions, have a look at the new software called AlgoSignals. Each month this broker rewards their traders with a trading competition. The prize changes from month to month. You can check their promotions section, which has various bonus offers, see here. Before getting excited about free money, a smart investor will always read the terms and conditions of the bonus, as we tend to receive many complaints from people who don’t understand how a bonus works. You can read about broker complaints look here. 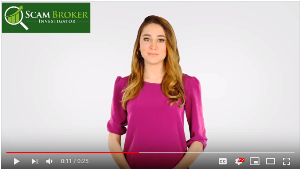 Scam Broker Investigators reviews hundreds of Forex brokers, and the best way to determine if a broker is legitimate or a scam, is by verifying their license. FXGiants is licensed by various financial regulators depending on your country of residence. Notesco UK Limited is authorized and regulated in the United Kingdom by the Financial Conduct Authority, license number 585561. Address is: 12th Floor, Broadgate Tower, 20 Primrose Street, London, EC2A 2EW. With the recent volatility in the Forex & Crypto Currency markets, investors are now very much aware of the importance of only trading with a licensed and regulated Forex broker. There are many Forex brokers to compare and choose from online. We have reviewed a few other high quality forex brokers here. ForTrade is the most popular broker, which is also licensed by the FCA in England, See here. 24option is a popular European licensed Forex and Crypto Currency broker that offers MT4 and an easy to use web based software. Get a Free Demo Account, signup here.